Composed by Clark Kimberling. Solos, Style, Flute, Fife and Oboe, Perfect binding. Bill's Music Shelf. World Music. Book. 52 pages. Mel Bay Publications, Inc #22015. Published by Mel Bay Publications, Inc (MB.22015). ISBN 9780786681105. 8.5 X 11 inches. This collection is a treasury of melodies originating in Russia, Latvia, Poland, Bulgaria, Yugoslavia, and Hungary, including several from Yiddish and Klezmer sources. 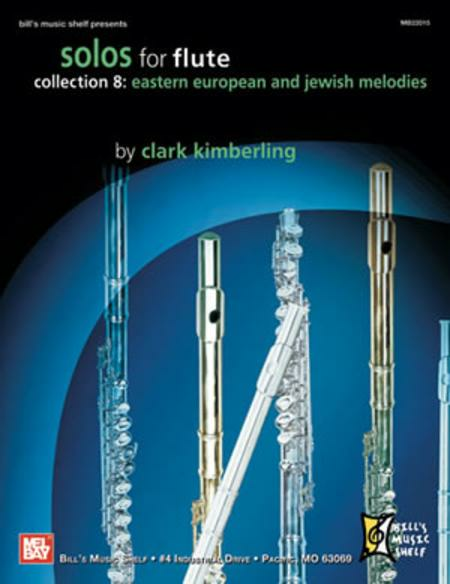 The solos are especially well suited to performance on the flute, and they provide excellent material for developing skills in rapid tonguing, extended breath-control, and phrasing. Arrangements of charming Russian folk tunes include Against the Red Sun and Jump Little Rabbit. Among old favorites are March Slav and In the Field Stood a Birch. Jewish melodies include Hava Nagilah, Hevenu Shalom Alechem and Varnitschkes. 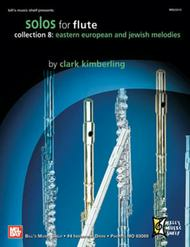 A separate recorder edition is available.